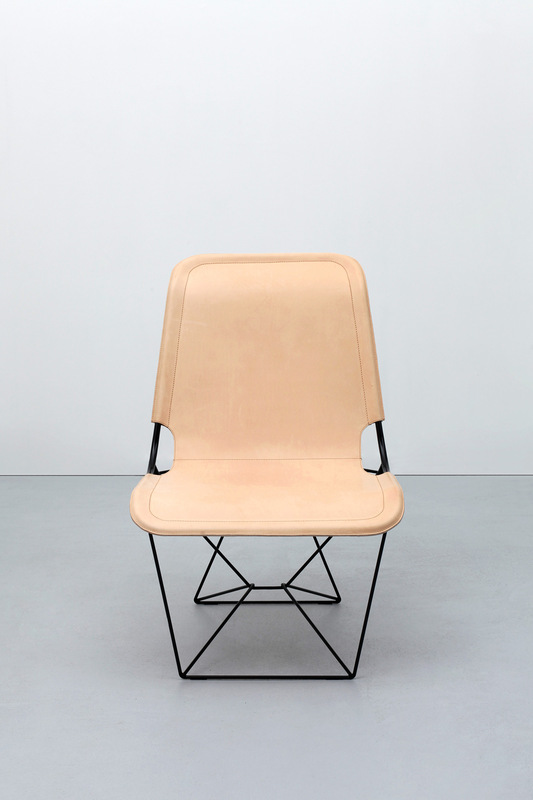 Marie Sophie is a comfortable chair made from simple, raw materials. 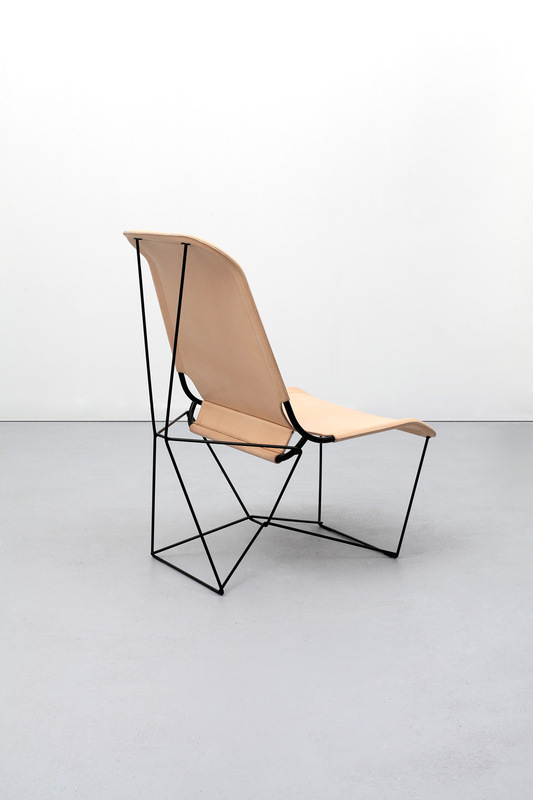 The design is inspired by the skills of craftsmen. 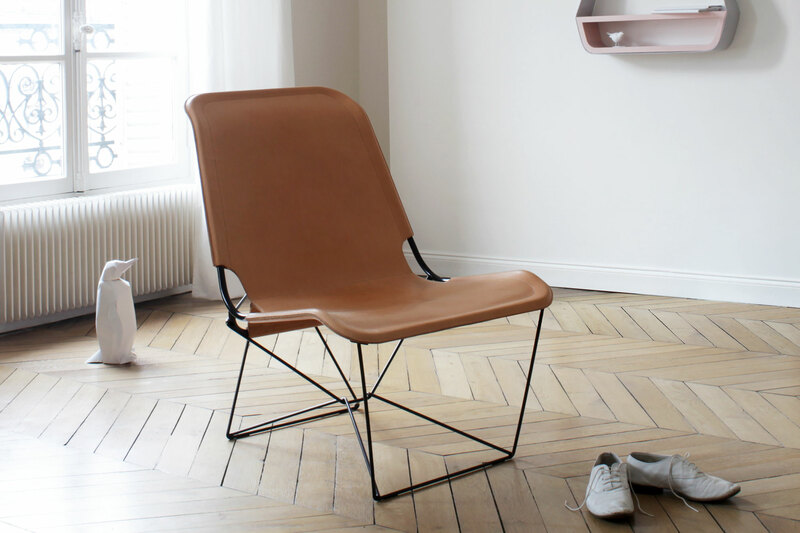 The steel trellis forms a structure which is covered in leather creating a rich contrast. The complexity of the base structure creates variable geometry depending on the angle of view. This gives an illusion of volume which is in fact generated by the empty spaces created by the structure. 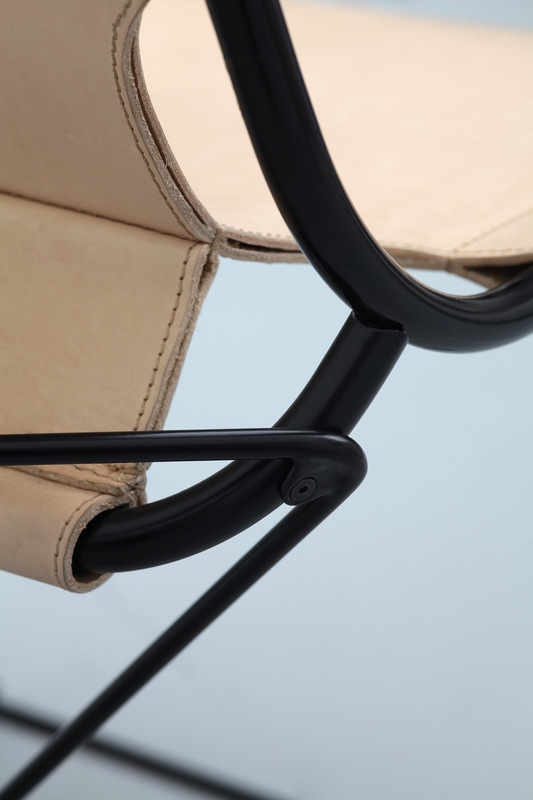 Thanks to its natural suppleness and flexibility, the leather encompasses the curved steel to create the seat and back of the chair. 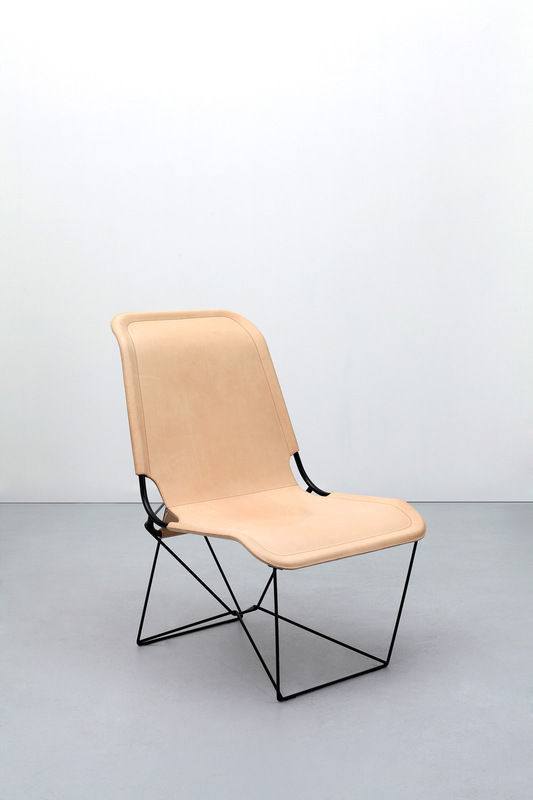 Materials: Black satin steel frame with natural cow leather seat.